The best time of the year has arrived and the Panthers are pouncing into September with a newfound confidence after last Friday’s dismantling of Melbourne at AAMI Park. Make no mistake, the 22-16 victory was the shot in the arm Penrith needed to revive their title hopes and give them the self-belief required that they can beat anyone in this competition. 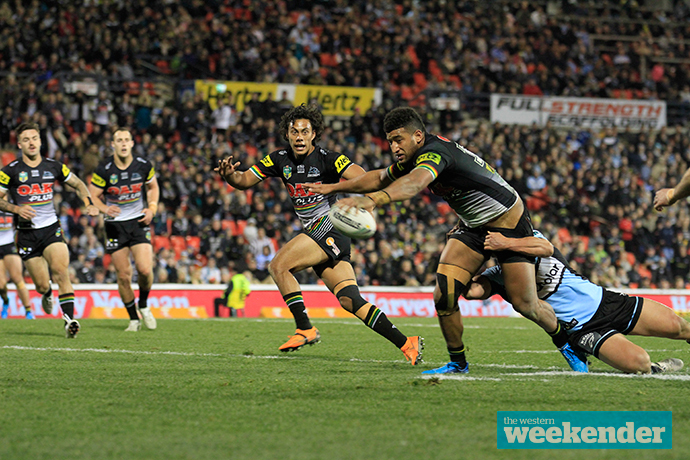 The Panthers come up against the Warriors at ANZ Stadium on Saturday evening and while the recent defeat over at Mount Smart Stadium is fresh in all of our minds, it should not be forgotten that Penrith spanked the Kiwi side at Panthers Stadium back in July. 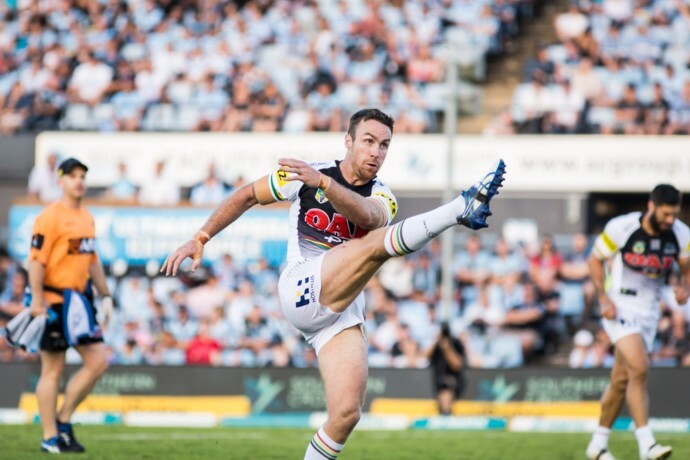 James Maloney was also missing from that round 24 defeat and his return against the Storm had instant results, taking the pressure off Nathan Cleary’s shoulders and providing decent game management and leadership. It allowed Cleary the freedom to simply play footy and he had one of his better games of this second half of the season as a result (except for his goal kicking, of course). Penrith should be overjoyed with last week’s win, not only because they broke their AAMI Park hoodoo, but there wasn’t much that didn’t go against Cameron Ciraldo’s men through the contest. The Panthers had just 39 per cent of possession, completed at 76 per cent, conceded 12 penalties to six, copped two sin-binnings and had Cleary miss an uncharacteristic five goals. They really had no right to win, but like so many other times this season, they found a way. With a lightning quick average play-the-ball speed of 2.82 seconds, Penrith won the little ‘one percenters’ against the Storm – and they’ll need to do the same against the Warriors on Saturday. Every tackle will matter, every kick will be critical, every pass needs to stick. The Warriors will almost certainly target Maloney who has missed 149 tackles this season, and with David Fusitu’a bagging a hat trick the last time these sides met, Stephen Kearney’s side will be very dangerous on the edges – especially with Shaun Johnson directing traffic. The Warriors will try to go around the Panthers, while Penrith will most likely try to do their damage through the middle, which should make for an interesting momentum battle as the game wares on. Canberra almost managed to get over the top of the Warriors last Friday night and they did it with a far superior kicking game; it is a lesson the Panthers should learn heading into this one. Talking of lessons, they say you learn more from a loss than a victory; so perhaps the loss to the Warriors just a fortnight ago is exactly what Penrith needed to know how to handle this daunting side from across the Tasman. The Warriors welcome back five-eighth Blake Green from injury for this do-or-die battle. I’m not necessarily expecting the highest quality game, but I do think it’ll be entertaining. The side that does manage to show more patience and restraint should eventually win, but if one side manages to skip away early it could be over in the blink of an eye. Penrith’s first 15 minutes will be critical to their chances, particularly given their belief seems to grow as the 80 minutes ticks away. The Panthers and Warriors do battle on Saturday, September 8 at ANZ Stadium from 5.30pm.